Why Would Anyone Need A Pregnancy Test To Be Digital? Why would anyone need a pregnancy test to be digital? That is exactly what I said when I walked up to the First Response booth at CES. The booth rep looked at me and at first didn’t know how to respond. 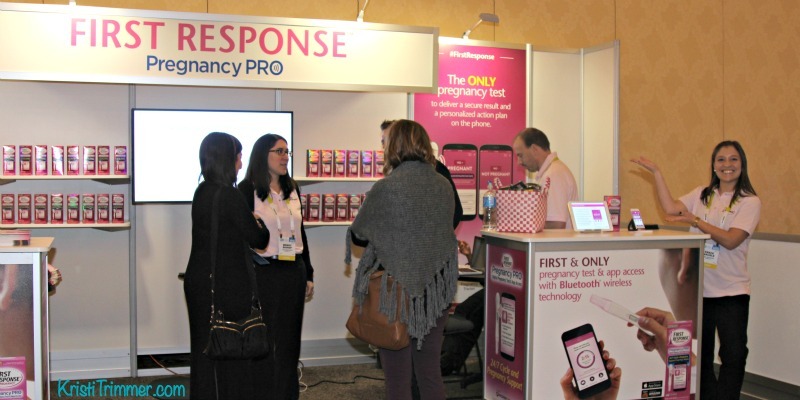 I asked the same question, but a tad differently this time: Why would a pregnancy test be considered tech at CES? Those of you that might not know, CES is the largest tech show in the world and happens every January in Las Vegas. Over a 100,000 people come from around the world to see what is on the cutting edge for that upcoming year. I was there for over a week learning everything I could about the newest tech hitting the market this year. She looked at me and smiled and said, let me demo this for you. She asked when was the last time I took a pregnancy test… that was easy, back when I was married and we were trying to get pregnant. I quickly told her that I would hope for a negative though if I were to take one again. She then walked me through how the First Response Pregnancy PRO Digital Pregnancy Test worked and how it connected via Bluetooth to the app. An app? For a pregnancy test? I will admit, I was highly skeptical at this. She opened up the app and showed me how the results were delivered with a personalized action plan, depending if you wanted a positive or negative result, with 24/7 cycle and pregnancy support just a phone call away. One thing that had me intrigued was how First Response was fighting the nerve-wrecking Waiting Game. You know… those loooonnnggg three minutes that you have to ponder if you are pregnant or not. The app helps to reduce stress while waiting with cute videos and quizzes. Seriously, the puppy video had me laughing in no time. The other thing I always wondered about – did I pee enough on it? You know – did I drench it or just sprinkle it or give just the right amount of downpour. Don’t tell you haven’t wondered the same thing! Thankfully, with the app, you know right away if you, um, need to go again! I’m glad I stopped by to see why you would want your pregnancy test to be digital. 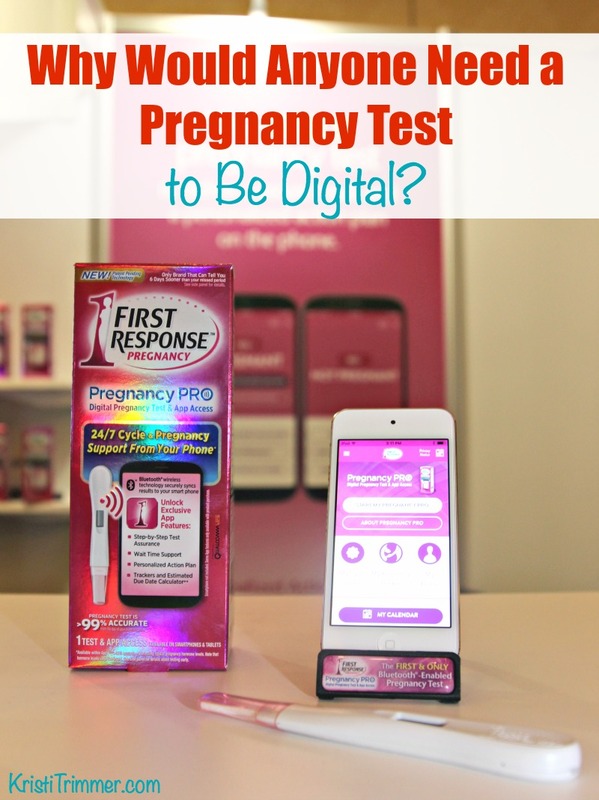 First Response has done an amazing job with their First Response Pregnancy PRO Digital Pregnancy Test. It takes some of the anxiety away if the time comes that you need to pee on a stick. The tech in this one is good – wish it were there 10 years ago when I was buying these by the cart loads. You can preorder it now as it won’t be available until Spring 2016. Disclaimer: This is a sponsored post in partnership with First Response and Living in Digital Times. In case you couldn’t tell, the opinions are mine. Seriously, who else would claim them? As always all opinions are my own. KristiTrimmer.com is a participant in the Amazon Services LLC Associates Program, an affiliate advertising program designed to provide a means for sites to earn advertising fees by advertising and linking to Amazon.com.